Few events in life are more disorienting and potentially life-altering than a serious automobile accident, and it is therefore essential to know precisely what to do after a car accident. Unfortunately, even the most conscientious drivers stand a very good chance of experiencing a collision on the road at least once in their lifetime. If you or a loved one has been injured in a motor vehicle accident in the Los Angeles area, you need an advocate who will protect your legal rights. The LA car accident attorneys at Ellis Law possess over two decades of experience helping residents recover the compensation they deserve. Our team of skilled lawyers, investigators and medical experts has combined forces to secure more than $100 million in settlements and verdicts for our clients to help them begin the process of rebuilding their lives. One in three individuals in California will suffer injuries or be killed in a car crash. This is a truly startling statistic, and underscores the importance of understanding your rights in such circumstances and what you need to do in the immediate aftermath in order to preserve them. While there is no denying that the few moments after a car accident are confusing, nerve-wracking and emotional, your immediate reactions can often be critical to your ability to receive financial compensation for any injuries or property damage. Because solid documentation is essential to any successful personal injury claim, the steps you take in the minutes, days and weeks following a collision can make all the difference. Verify Injuries of Others: It is always wise to assess the condition of passengers, other motorists and yourself in order to secure medical assistance for those in need and take sufficient steps to prevent further injury. Contact the Police: When injury, death or serious property damage has occurred, it is wise to call the police for help. A formal accident report should be filed, and it is important to obtain contact information for all officers who respond to the scene. Exchanging Information: Speak to the other motorists and passengers involved in the collision. Write down names, license numbers, contact information and insurance details. Be as friendly as possible, but do not apologize or admit error, as such statements may be used to put you at a disadvantage later when you attempt to pursue compensation. Speaking to Other Witnesses: Do your best to speak with all witnesses at the scene and obtain their contact information. 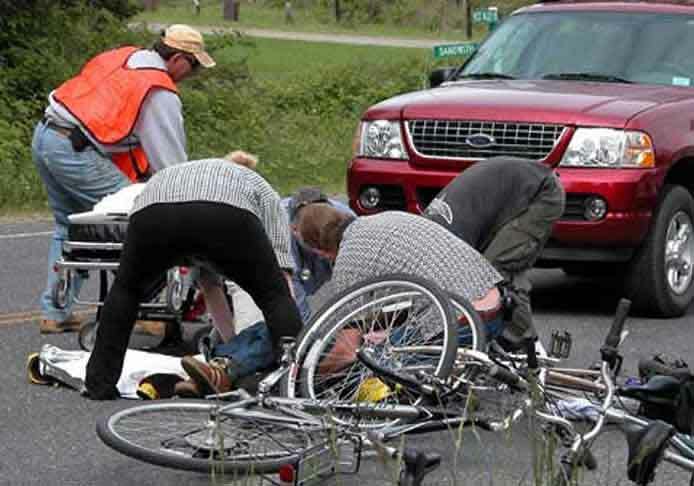 Take notes when they describe what they saw at the time of the collision. Their recollections can be useful in bolstering your case for damages. Taking Photographs: If possible, take photos of the accident scene as well as photos of the damage done to your car. Any existing pictures of your vehicle prior to the accident should also be assembled. Exercise Discretion: When it comes to discussing the incident with others, tread carefully. Do not speak to representatives of insurance companies other than your own without the knowledge or assistance of your car accident attorney. Document all Damages and Injuries Sustained: Starting from the first moments following an accident, begin taking notes on each type of pain, anxiety or disruption you experience, whether physical or emotional in nature. Keep track of conversations with medical professionals and diagnoses you may receive. Maintain a log of economic and other types of losses you experience, including missed work, family events, vacations or any other planned or anticipated occurrences. The types of injuries frequently seen in automobile accidents range from relatively mild to catastrophic. Full documentation of the nature and extent of physical injuries must be collected as soon as possible following a serious car accident in order to receive full compensation from insurance carriers or from a judge — should litigation prove necessary. An experienced car accident lawyer can help preserve key evidence and build the most compelling case possible on behalf of those severely injured by the negligence of another motorist. At Ellis Law, our personal injury attorneys know how to distill the material facts required to establish liability and hold negligent drivers responsible in a car accident lawsuit. California law provides legal remedies for those injured in automobile accidents, and the damage awards available to victims can be quite substantial. When the unthinkable happens and you are involved in a serious auto accident, it may feel as though you will never be able to fully recover from the physical and emotional impact. However, by allowing us to conduct a thorough evaluation of the facts of your case and assess your legal options, you will see that there can be a light at the end of the tunnel. Damages recovered in a car accident lawsuit can remove all monetary burdens, allowing you to focus on your recovery. For a free initial consultation, contact Ellis Law car accident attorneys in Los Angeles at 310-641-3335.